87% of T-Mobile users, and 86% of Sprint customers who switched back to Verizon within six months of leaving, cited Big Red's "Network quality and performance" as the top reason for their decision to return to Verizon. This interesting data comes from Verizon as it promotes its new initiative. The nation's largest carrier is now offering up to $650 per line to T-Mobile, Sprint and AT&T subscribers making the switch to Verizon. The money can be used to pay Early Termination Fees, or used to buy out the installment or lease contract on your device. 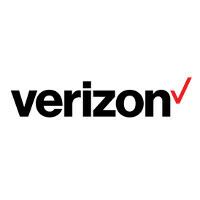 To qualify for the money (which comes in the form of a Verizon gift card), you will need to port over your current number to Verizon, buy a new 4G LTE smartphone, and trade-in your current device (in working condition). Make the switch now, select either the XL or XXL data plan, and Verizon was give you 2GB of extra data free each month for as long as your device is active on the plan. According to Verizon, that is enough data to "surf the web for 89 hours, stream 512 songs or navigate on Google Maps for 34 hours." Verizon is characterizing this deal as being similar to the person who wants to exchange a holiday gift for something better. Except that instead of returning an ugly sweater, this person is leaving a mobile carrier that he isn't really happy with, for Verizon. If you are considering taking Verizon up on this offer, click on the sourcelink. Thanks PA, will consider this. Dawnnnn Verizon, the last time I record your CFO said don't care about those shop for bargain leaving, I guess she is start to worry. Anyway thanks to Tmobile with innovation and now mobile industry get a good shake up and I love competition customer win. Stop all the troll and hate. Competition is a great thing! I think Charlie Sheen put it best... "Winning!!" Verizon is even more expensive. Does this read like an ad to anyone else, instead of a news article? I expected to see "promoted" somewhere. I would like to see the real statistics on how many numbers leave for T-Mobile and switch back. I've had three friends here in NYC switch to T-Mo and find the service better, and cheaper. None of them have wanted to switch back. I know that is a very limited sample size, and I live in a major metropolitan market that has great coverage; but the number seems wonky. Also it doesn't seem mathematically correct when T-Mobile is adding so many new subscribers each quarter and have a churn rate that isn't massive. If people were leaving Verizon to go back within 6 months, wouldn't their churn rate be higher? Can anyone explain this to me? I would appreciate the knowledge. EDIT: I misread it. haha I thought it said 87% of T-Mobile users switch back within 6 months. Apparently I need to eat lunch before reading. haha I'm still curious as to how many people switch back. The one thing I don't like about the trade ins is it's meant to remove the easy option to move back to your old carrier. This makes sense. And it's a safe bet AT&T will follow suit. I actually enjoy Verizon's new commercial showcasing Root Metrics using colored bowling balls to demonstrate the drop off in network between the 4 major carriers. T-Mobile won absolutely nothing. And offers like this will help frustrated consumers who took the magenta bait to get out of dodge. Or, if absolutely no one else takes advantage of this offer, maybe Donald Trump? Ha ha. Oh man, this country is boned. This is not such a good deal for everyone, for example I cant use this offer because I owe 520 on my S6 edge Plus with Tmobile, since its trade value is 279 that leaves me with only a 371 dollar visa card, which can not cover my cost to switch.... I emailed them to verify this, and sadly you only get 350 MAX to pay off your EIP balances which in most cases is more. lame on verizons part. Who would it thought, that the carrier will practically beg you to come back....by offering such incentives. I bet Verizon is loosing customers left and right....and they are trying to do something about it but isn't this too late? You be the judge. Happy New Year everyone!